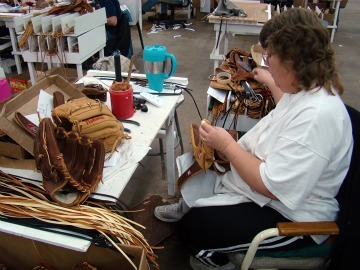 Besides cowboy boots, Nocona is best known for the Nokona baseball glove factory. These premium ball gloves have been designed and handcrafted in Nocona since 1934. Learn about how these gloves are made and the history of the company with a tour of the factory, which also offers a retail outlet and the capability to order personalized gloves for young and old. Mondays and Fridays at 10:00 am and 1:30 pm.